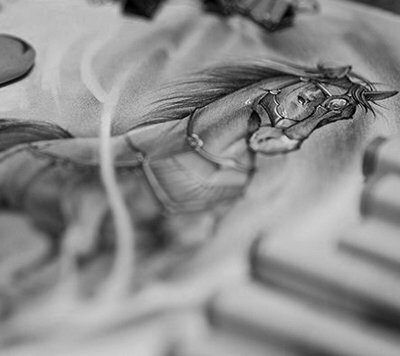 The price of a future tattoo depends on the size and detail. For all questions about cost, process and safety. The artists of our studio work in different styles. Each of them needs different time for tattooing, so the pricing policy is flexible enough. Taking into account the observance of all sanitary norms of safety and hygiene, we have established the minimum cost of a tattoo equal to 3000 roubles. For big and complex projects, our studio has a system of hourly rate. An hour costs 4000-5000 roubles/hour. The cost of a session (3 hours) costs 12000-15000 roubles. And correction of any area for half the price. Microdermal installation - 4000 RUB. We using only high quality and 100% safe implants from select suppliers. We give average prices for all of our work, and you must understand that each human has individual skin type and other physiologcal features. So you will get precise cost of the work you want only in person on our free consultation with professional artist, where he or she will hear all your wishes and fears and negotiate all the details. You can send us an example of any tattoo you interested in over contact form or any social network like Facebook or Instagram and we will answer you in no time. ВКонтакте or Facebook. 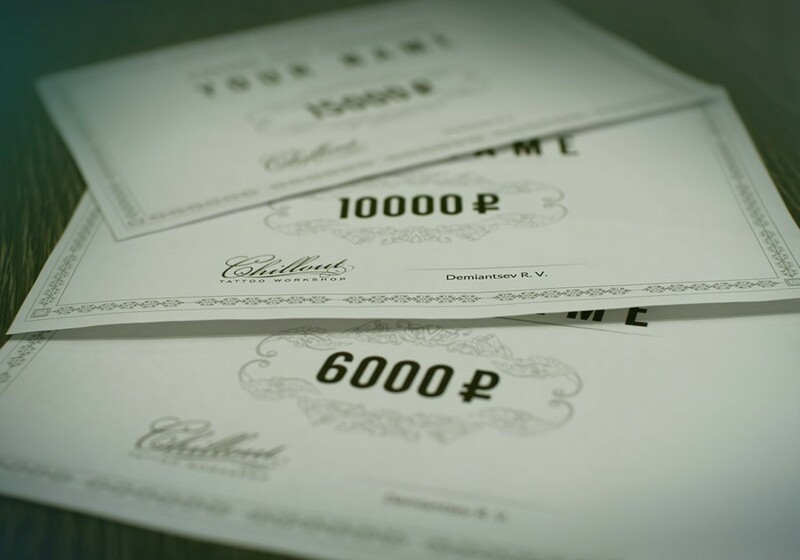 In our studio, you can also purchase name gift certificates for any amount. Make an extraordinary gift to your loved ones, which will remain for life! If you want to receive detailed information from our professionals, it’s better to make an appointment for a free consultation! © Chillout Tattoo Workshop, 2019. All rights reserved.